Want to get away for Spring Break without the hassle of dealing with airports? Perhaps a fun-filled staycation for the whole family is just the thing. Make the most of your break with these fun activities in and around Lone Tree. Get your little golfer set for summer by enrolling in the Topgolf Spring Academy. The spring camp consists of 3 half days full of lessons, pro tips, games, and entertainment designed to improve your child’s golf swing and interest in the game. Put on your thinking hat at The Clue Room. Check out Colorado’s largest escape game venue, with themed rooms such as The Shadow Gallery, Alice’s Whimsical Wonderland, Sherlocked, and many more. The Parker Arts Center has a great lineup of shows and events this spring. There’s something for everyone in the family. These are just a few kid-friendly shows that are playing in March: Astronomy 101, Wonders of the Night Sky, Dance for a Difference: Shine Bright, and Fiddler on the Roof. Check out the very full calendar of spring activities at Painting With a Twist. Paint your dog, the beautiful night sky, the latest Disney classic, Coco, and much more. Also? They serve wine! Experience Colorado’s history in your own backyard at Schweiger Ranch. This local gem is open for tours on Saturdays throughout the spring. Experience how families carved a life for themselves in the canyon, and have the kids try out some of their activities such as churning butter and caring for livestock. 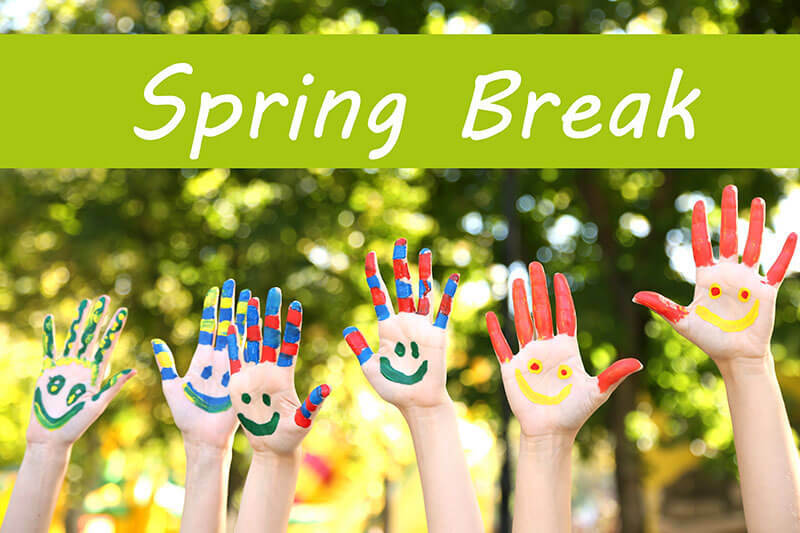 These are just a few ideas for spring break in Lone Tree, but don’t forget that Heritage Hills residents have access to some of Colorado’s most beautiful parks and trails. If that’s not enough, enjoy the tennis and basketball courts, playgrounds, or play a round of golf at the Lone Tree Golf Club!